Hailed by the Pittsburgh Post-Gazette as a “beautifully voiced singer-actor" and by Pittsburgh Magazine as "a mezzo-soprano/ actress of striking voice," Raquel Winnica Young is a finalist of the Art Song/Oratorio division of The American Prize, finalist of the Vocal Art Song Discovery Series DC 2016 and a two-time winner of the Pittsburgh Concert Society Competition (2015 /2010). Ms. Winnica Young's career has taken her to concert halls throughout the Americas and Europe. Recent performances include the alto soloist of "The Armed Man" by Karl Jenkins with the Blair Concert Chorale, the role of Hermione in the World Premiere of the opera "Winter'sTale" with Quantum Theatre of Pittsburgh, Chatham Baroque and Attack Theater, the role of Pi in the World Premiere of the opera "Constellations" by Efrain Amaya in Philadelphia,"Frida" by Xavier Rodriguez with Microscopic Opera Company and as cover with Michigan OperaTheater, "Speed Dating" by Michael Ching with Microscopic Opera Company, "Messiah" with Chatham Baroque, recitals with The Newberry Consort in Chicago IL and Durango, Mexico as part of the Festival Musica del Virreynato. Past performances include C.P.E. Bach’s Die Israeliten in der Wüste and the title role of Orfeo ed Euridice in Argentina. Closer to home, she sang in Vivaldi’s Gloria at the Strings Music Festival (Colorado), Die Zauberflöte (Third Lady) with Apollo’s Fire in Cleveland, Artemisia (Alindo) with Helios Early Opera in Boston, and Durufle Requiem with Altoona Symphony. With Quantum Theatre she performed the principal role in Astor Piazzolla’s Maria de Buenos Aires and Osvaldo Golijov’s Ainadamar, where her portrayal of Federico García Lorca earned her a spot on the Pittsburgh Post-Gazette’s “Best of 2012” lists. 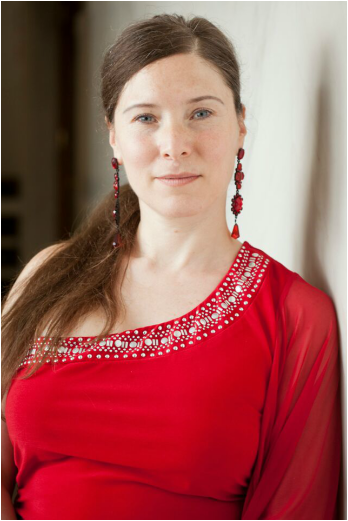 Ms. Winnica Young has performed as soloist with the Pittsburgh Camerata, Chatham Baroque, Pittsburgh Baroque Ensemble, Alia Musica of Pittsburgh, and the Johnstown (PA) Symphony. She is also a founding member of the Bell'Art Ensemble and the Living Room Chamber Music Project concert series, producing 12 performances a year around the Pittsburgh region with creative and interdisciplinary Chamber Music Projects. Past international performances include Handel’s La Resurrezione at the Bach Festival in Lausanne, Switzerland, the world-premiere opera Marianita Limenia by Valdo Sciamarella in Buenos Aires, the European tour of the opera Medeamaterial by Pascal Dusapin with Remix Ensemble. Ms. Winnica Young has given recitals in the most prestigious concert halls and Music Festivals in Argentina, Llao Llao Music Festival, Martha Argerich Music Festival, Sans Souci Palace, Ciclo de Conciertos El Rincon, Manuel de Falla and Virrey Liniers Museums Concert Series, closer to home she was the featured artist at the 2014 Rodef Shalom Concert Series in Pittsburgh. Born in Cordoba, Argentina, Ms.Young holds a degree from the prestigious Instituto de Arte del Teatro Colon and an Artist Diploma from Duquesne University. She participated in the EPCASO Summer music program (Oderzo, Italy), Interharmony Music Festival (San Francisco), Oberlin Baroque Summer Institute, Tafelmusik Baroque Summer Institute, Vancouver Early Music Festival and American Bach Soloists Academy. Ms.Winnica Young is Adjunct Faculty in the Voice Department of Indiana University of Pennsylvania since Spring 2014.